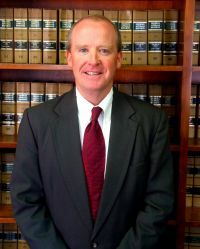 Richard K. (Rick) Strickland is a partner with the Brunswick, Georgia law firm of Brown, Readdick,Bumgartner, Carter, Strickland & Watkins, LLP. His law practice is primarily devoted to civil litigation, with a specific emphasis upon the representation of local governmental entities, their officers and employees, particularly law enforcement officers. He also assists clients with employment related litigation and compliance matters, as well as business and commercial litigation. Mr. Strickland is a graduate of Brewton-ParkerCollege, Valdosta State College, and the Emory University School of Law. Prior to his career as an attorney, he served as the News Director and Operations Manager of an ABC television network affiliate in Valdosta, Georgia. Mr. Strickland has previously served as President of the Glynn/Brunswick Bar Association. He has also served the State Bar of Georgia as a member of the Disciplinary Board Review Panel, which operates as an appellate body with regard to disciplinary matters. Mr. Strickland is active in the community, serving as an advisory board member to a local bank. He also serves as a youth sports coach, coaching baseball, basketball, and football teams on behalf of the Glynn County Recreation Department. Mr. Strickland serves upon various committees at his church in Brunswick, Georgia, The Chapel. Away from work, Mr. Strickland enjoys hunting, fishing, and other outdoor activities while spending time with his family. Mr. Strickland and his wife, Sandy, reside on St. Simons Island, Georgia with their five children. Manders v. Lee, 338 F.3d 1304 (11th Cir. 2003), cert. denied, 540 U.S. 1107, 124 S.Ct. 1061, 157 L.Ed.2d 892 (2004). In a case of first impression, the Eleventh Circuit Court of Appeals ruled that Georgia sheriffs, in their official capacity, were entitled to Eleventh Amendment immunity under the U. S. Constitution with respect to the law enforcement activities of the sheriff’s office. A district court had denied the sheriff’s Motion for Summary Judgment based upon existing law and a three judge panel of the Eleventh Circuit Court of Appeals initially affirmed the district court opinion. However, on behalf of the sheriff, Mr. Strickland filed a Petition for Rehearing en banc with the entire Eleventh Circuit Court of Appeals and the court granted that petition. The case was orally argued before the entire Eleventh Circuit and it was argued on behalf of the sheriff that the prior law was inconsistent with U. S. Supreme Court authority and should be changed. In a six to five vote, the en banc panel agreed with the position being asserted on behalf of the sheriff and changed the law with regard to Georgia sheriffs. The decision eliminated liability for Georgia sheriffs, in their official capacity, in a great number of civil rights cases since that time. On a related note, the decision also meant that counties could not be liable for those activities of the sheriff’s office because the county had no “control” over Georgia sheriffs. That decision had significant impact throughout the Eleventh Circuit, particularly in the state of Georgia. The decision benefited not only the particular client, but resulted in the savings of many millions of dollars by Georgia sheriffs and counties as a result of the elimination of a great number of potential civil rights claims. In addition, it also resulted in the elimination of a significant amount of future litigation costs. The plaintiff filed a Petition for Certiorari with the U. S. Supreme Court which was denied leaving in place the enbanc decision of the Eleventh Circuit Court of Appeals. Camden County, Georgia v. Haddock, 271 Ga. 664 (1999). In this case, Camden County was sued by a former employee who never received written notice of the reasons for her termination, or the procedure for appeal, as required under the County’s personnel policies. In considering a claim under Georgia’s State Due Process clause, the Supreme Court held that State Due Process requires no more than federal Due Process, such that if a later remedy was provided which met federal Due Process requirements, the defective nature of the earlier procedures did not afford the plaintiff a claim. Merrow v. Hawkins, 266 Ga. 390 (1996). In this case of first impression, the Georgia Supreme Court held that “actual malice,” as defined under the official immunity provision of the Georgia Constitution, requires a deliberate intention to do wrong, and not merely gross negligence or a reckless disregard for the consequences. The Supreme Court reversed the trial court’s finding of a lesser standard of liability. Atlanta Journal & Constitution v. City of Brunswick, Georgia, 265 Ga. 413 (1995). In this case involving the City of Brunswick, the Atlanta Journal & Constitution sought injunctive relief against the City to obtain access to police incident reports under Georgia’s Open Records Act. The trial court held an ex parte hearing, excluding the plaintiffs and their counsel, and determined that certain information contained in the incident reports could be excluded from disclosure. The Supreme Court affirmed, holding that the ex parte hearing was a proper procedure, and that the City could refuse to disclose certain categories of information from the incident reports, where the disclosure would reveal confidential information or endanger the lives of individuals. Muhs v. River Rats, Inc., 586 F. Supp. 2d 1364 (S.D.Ga. 2008). Represented several defendants in a maritime action where the plaintiff sustained burns to over 90% of his body. The plaintiff sought to recover over $3.2 million in medical bills, over $450,000 for future medical care, and pain and suffering damages. Through an extremely aggressive defense, the plaintiff agreed to dismiss the case against BRBCSW’s clients in exchange for $25,000, representing 0.68% of the plaintiff’s past medical bills. Smithey, et al., v. McDuffie, (United States District Court, S.D. Ga.). Obtained summary judgment for a sheriff who removed a tow-truck operator from a wrecker-rotation list one week after the sheriff was reelected. The plaintiff claimed that the sheriff violated the First Amendment because the sheriff knew that the tow-truck operator actively campaigned for the sheriff’s opponent during the campaign, and the sheriff removed the tow truck operator from the rotation list one week after the sheriff defeated his opponent. Notably, plaintiff’s counsel represented a tow-truck operator in a similar case and had prevailed in the United States Supreme Court. O’Hare Truck Serv. v. City of Northlake, 518 U.S. 712 (1996). Granting summary judgment for the sheriff, the district court found that the sheriff provided an acceptable basis for removing the tow-truck operator from the wrecker rotation list. Represented law enforcement officers in 42 U.S.C. § 1983 claim that officers were deliberately indifferent to an arrestee’s serious medical needs after he swallowed crack cocaine during the course of an arrest. The arrestee later died. The United States Court of Appeals for the Eleventh Circuit affirmed summary judgment for all of the defendants. Cotton v. Jackson, 216 F.3d 1328 (11th Cir. 2000). The United States Court of Appeals for the Eleventh Circuit reversed the denial of summary judgment to a college president sued by a professor. The Eleventh Circuit agreed that a writ of mandamus was available under state law and that it was an adequate remedy to insure the professor’s due process rights. Accordingly, the Eleventh Circuit remanded the case to the District Court with instructions to enter judgment in favor of the college president. Stanton v. McIntosh County, 434 F.Appx 871 (11th Cir. 2011). A county, the county sheriff, and a detective were entitled to summary judgment on plaintiff’s claims that he had been falsely arrested in the state of Florida based upon a warrant sworn out by the detective. The detective had relied upon information obtain from a third party and the court held that it was reasonable for the detective to rely upon such information, and that such information provided probable cause to arrest. Schoenfeld v. Babbitt, 168 F.3d 1257 (11th Cir. 1999). Represented a job applicant for a position with the United States Fish & Wildlife Service. The client had been initially selected for the job, but when the Equal Employment Opportunity officials reviewing the hiring decision discovered that he was white and male, they forced the hiring official to rescind the job offer. The District Court initially denied relief to the client, but the United States Court of Appeals for the Eleventh Circuit reversed and remanded the case for trial. Thereafter, a favorable settlement was obtained on behalf of the client. Harris v. McQuaig, 2011 U. S. Dist. LEXIS 3996 (S.D. Ga. 2011). Represented county and sheriff on claims that sheriff’s employee had used excessive force upon inmate. Despite testimony from “law enforcement practices expert” on behalf of plaintiff, obtained summary judgment in favor of all defendants by illustrating that plaintiff could not produce sufficient evidence of an unconstitutional policy, practice, or custom. Williams v. Bryan County, 2010 U. S. Dist. LEXIS 94312 (S.D. Ga. 2010). Obtained dismissal on behalf of multiple deputy sheriffs and county sheriff of claims of excessive force arising out of physical altercation between plaintiffs and deputies. The court agreed that plaintiffs’ complaint failed to state a claim, as filed, and agreed with defendants that Federal Rules of Civil Procedure did not allow for amendment of complaint in light of stage to which case had advanced. Ferst v. Norton, 2009 U. S. Dist. LEXIS 27417 (M.D. Ga. 2009). Represented county and sheriff in employment claim by former deputy. Summary judgment was obtained on behalf of all defendants as the court agreed with their position that the number of employees within the sheriff’s department could not be combined with number of employees employed by county in order to meet the statutory minimum number of employees for plaintiff to pursue a claim. Wallace v. Board of Regents of the University System of GA, 967 F.Supp. 1287 (1997). Represented Board of Regents and university system employees in claims by male and female basketball coaches under 42 U.S.C. § 1983, the Equal Pay Act, and Title VII. Established that terminations had been for legitimate business reasons and that no federal statutes or constitution had been violated. Wright v. Glynn County Bd of Commissioners, 932 F.Supp. 1476 (S.D. Ga. 1996). Obtained summary judgment on behalf of county with respect to plaintiff’s claim that he had not received due process in connection with his termination and that his First Amendment rights had been violated when he was terminated for use of racial epithets in the work place. Remaining claim under the Fair Labor Standards Act was tried before a jury and a verdict on behalf of the defendant was returned. Thomas v. Lee, 286 Ga. 860 (2010). Represented county solicitor general and county. The Georgia Supreme Court determined that an employee who was hired by the solicitor general was not an employee of the county and that the solicitor general did not bring her into the county’s civil service system. Therefore, she lacked a protected property interest in her job and could be terminated without cause and without a hearing. Summary judgment was obtained for all defendants. Satilla Community Service Board v. Satilla Health Services, 275 Ga. 805 (2002). Represented a community service board in claim by estate of former employee that had been killed by mental health patient. Community service board had paid workers’ compensation benefits to the deceased employee’s estate and the Georgia Court of Appeals ruled that the service board still had an implied duty to indemnify either the health services corporation or the patient’s doctor for any damages they might have to pay in a civil action. The Georgia Supreme Court reversed that decision and held that no such indemnity obligation arose under Georgia law, implied or otherwise. The Supreme Court held that Georgia’s Workers’ Compensation exclusive remedy doctrine barred any such implied duty to indemnify. Summary judgment was obtained on behalf of the client. Parrish v. State of Georgia, 270 Ga. 878 (1999). Represented warden and employee of county correctional institution. Summary judgment was obtained on behalf of all defendants. It was determined that supervision of a prisoner of a work detail is a discretionary, rather than ministerial, function. As a result, defendants were entitled to official immunity under the Georgia Constitution. Harry v. Glynn County, 269 Ga. 503 (1998). Represented county and emergency medical technician employed by county. The Georgia Supreme Court held that because the emergency medical technician was engaged in the conduct of discretionary actions, he was entitled to official immunity from suit with respect to a claim by the estate of the patient who had died in the back of an ambulance. The county was awarded sovereign immunity and the Supreme Court rejected plaintiff’s contention that the doctrine of sovereign immunity denied plaintiff’s right to a jury trial. Hendricks v. Dupree, 311 Ga.App. 96 (2011). The Georgia Court of Appeals reversed the denial of summary judgment to a county road department superintendent. Represented the superintendent and argued that official immunity protected the superintendent because his task of supervising mowing crews was discretionary, entitling him to official immunity. Accordingly, a paraplegic whose all terrain vehicle had struck a concrete culvert on the road shoulder could not recover against the road department superintendent. Todd v. Brooks, 292 Ga.App. 329 (2008). Represented sheriff’s deputy who was entitled to official immunity after killing an owner’s escaped bull while attempting to impound it because the activities connected with trying to control a potentially dangerous animal required the exercise of considerable deliberation and judgment, making his actions discretionary. Clark v. Arras, 212 Ga.App. 695 (1994). Obtained summary judgment in favor of county medical examiner and county coroner in mother’s action for intentional infliction of emotional distress where autopsy was allegedly performed upon the wrong fetus.